The lessons from the Savile investigations are highly relevant to modern day organisations, in both the public and private sectors. His offending knew no boundary; he abused staff, managers, visitors and patients, aged from 5 to 75 years of age. However, many managers remain complacent to safeguarding, believing that the modern workplace culture of challenge and whistle blowing is sufficient to create a safe working environment. Recent evidence of abuse in the workplace very much proves otherwise. It is vital that the key lessons are understood and embraced to ensure that determined and corrosive abusers are not allowed to thrive. We owe as much to his victims. This one-day Safeguarding Training course exposes the myths around Savile and reveals the vital lessons that can be learnt from how he operated, how he cultivated influence and how he was able to go undetected for over five decades. Learn how Savile permeated the culture of the organisations in which he operated around the country, how his behaviour came to be accepted, how he ‘hid in plain sight’ and why many of his victims did not speak up. The course is presented by Ray Galloway who led the investigation into the events in Leeds. Ray is a former senior police officer who also directed the NHS Savile Legacy Unit which oversaw all other NHS related investigations across the country that involved abuse by Savile. The primary objective of this workshop is to help managers and staff to create a professional environment in which all are safe, valued and able to work to their full potential, supported by structures and processes in which all have confidence and which enable concerns and complaints to be dealt with effectively. 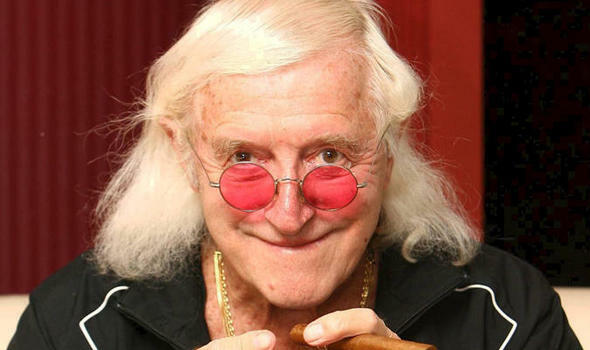 The sexual abuse perpetrated by Savile went on for over five decades and took place in organisations that extend the length and breadth of the country. Savile’s abuse was often opportunistic but, on many occasions, he conspired with others and carefully planned his offending. Learn what safeguarding structures, managerial curiosity and staff education are necessary in modern organisations to prevent abusers from seizing opportunities to thrive. Savile was a malevolent and manipulative man who cultivated relationships and abused the power that he held over people to facilitate his abuse. He was often reckless in his actions to the point where he could have been brought to justice many times. The investigations into his behaviour provide us with a hugely valuable opportunity to understand why this was not the case and how we can achieve safe working environments, where people can work in safety, free from the fear of abuse. How did he go undetected for so long? Who helped him facilitate his abuse? How did his behaviour come to be accepted? What factors inhibited his victims from reporting their abuse? How should victims be managed? How should allegations be investigated? What constitutes a safeguarding risk? How can such risks be managed? How can volunteers be managed? How can managers sustain a safe working environment? What makes an effective safeguarding policy? To book you place on this unique training course click on the link below. “A well presented and informative day with an engaging speaker. A worthwhile event with a good mix of information and question/discussion opporrtunities”. – A.B.